6. 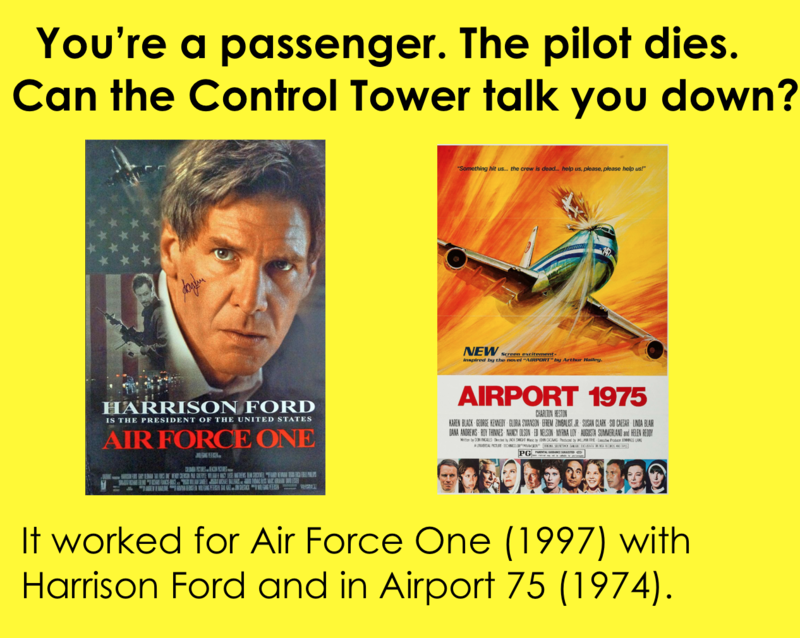 If the pilot dies the control tower can talk you down. 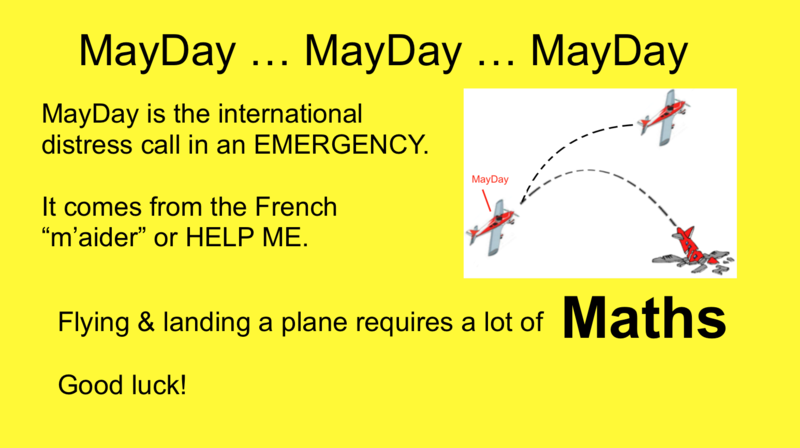 So mathpigs, here is a small taste of what you would need to do to land a small aircraft in an emergency if the pilot is unconscious/dead. 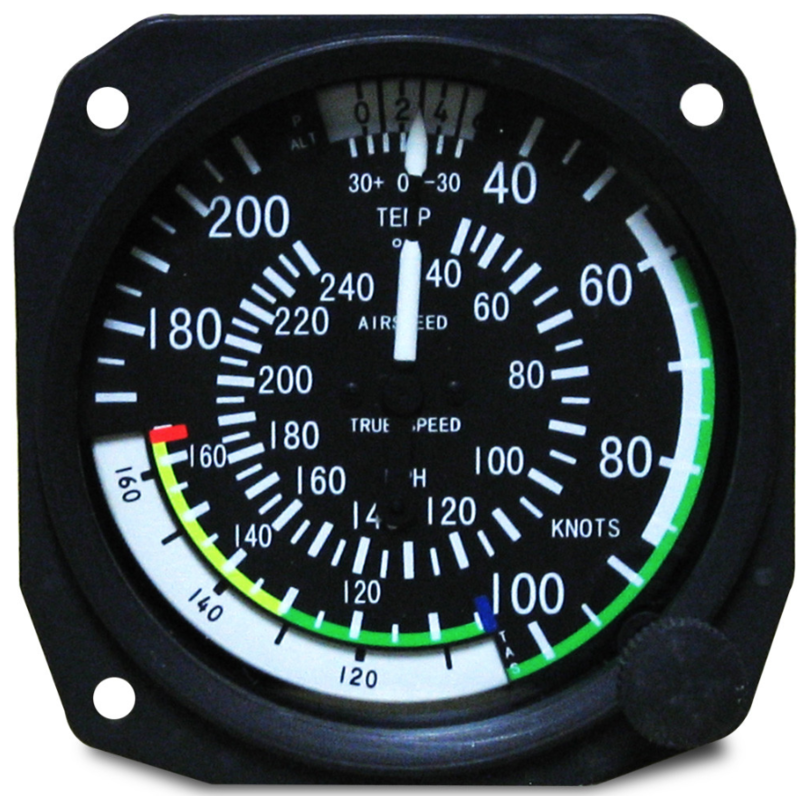 Find airspeed indicator on instrument panel. Knots or mph or kph? Avoid red zone. Too fast. Knots outer scale. mph inner scale. Recommended velocity between blue & red. B = Contact nearest air traffic controllers. 2. Look for plane ID. It will be on instrument panel somewhere. 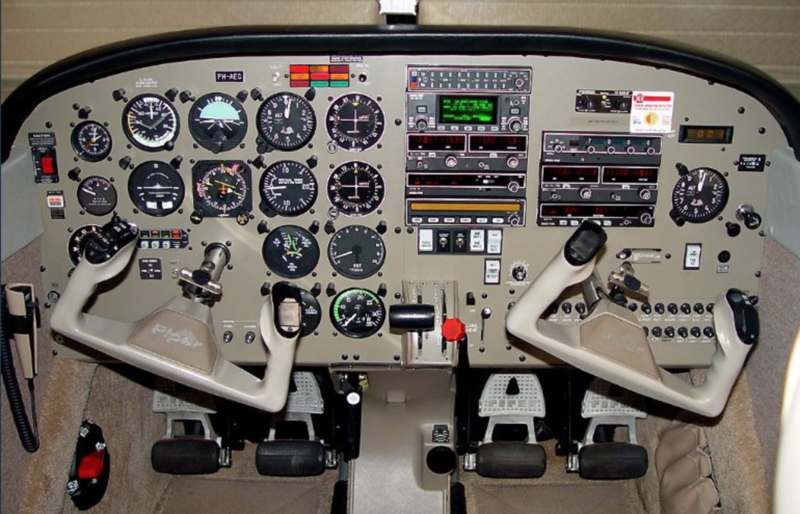 On the Piper Cherokee there are 2 fuel tanks, R & L. Check both. 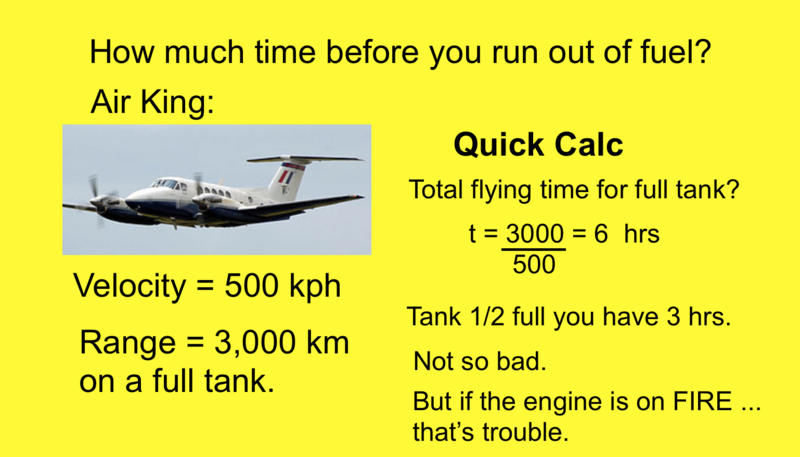 Check aircraft operating handbook to see fuel consumption and remaining time in air. Follow Emergency Landing Checklist in aircraft operating handbook for Power OFF or Power ON landing. 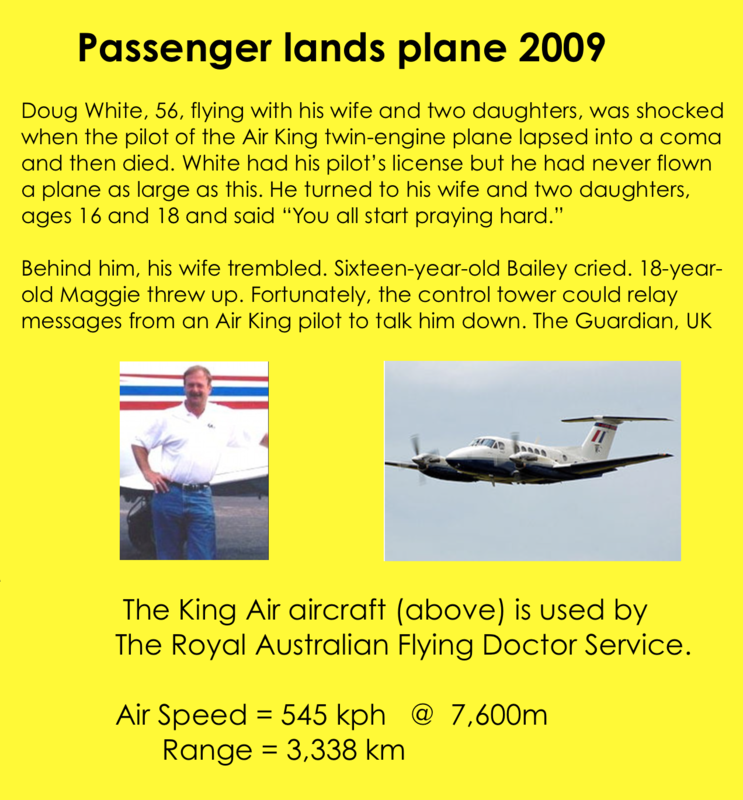 Keep in mind, if your air speed is too low you can drop from air, but the higher the landing speed the bigger crash. 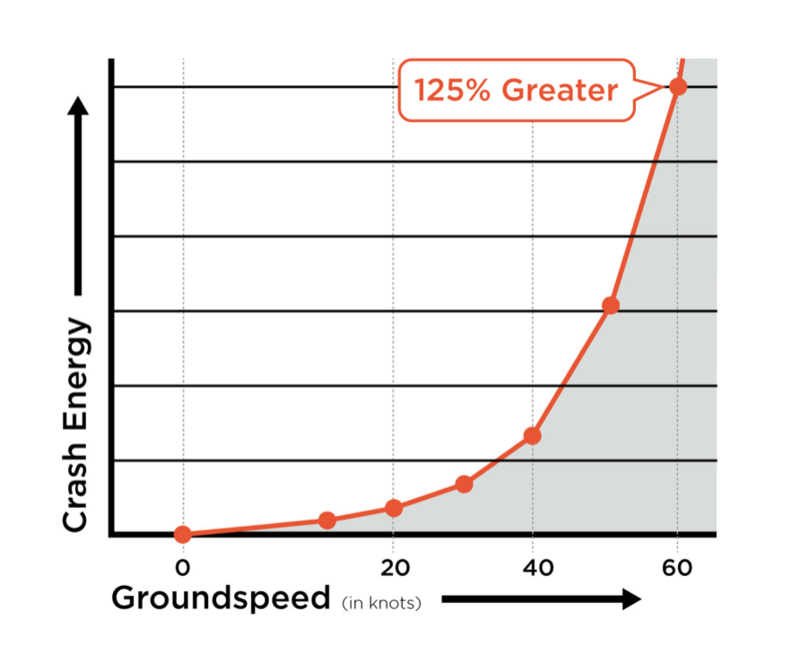 Crash energy increases with the square of speed. It’s a parabola!!!!! 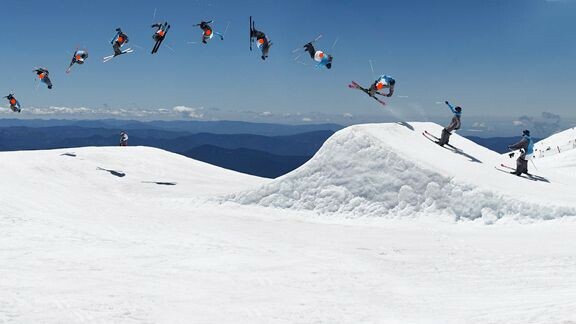 Aerial skiers aim for height rather than length. 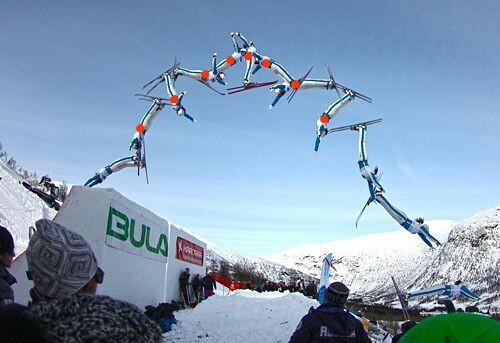 Their aerial flight times are much smaller than ski jumpers so air resistance has minimal impact. 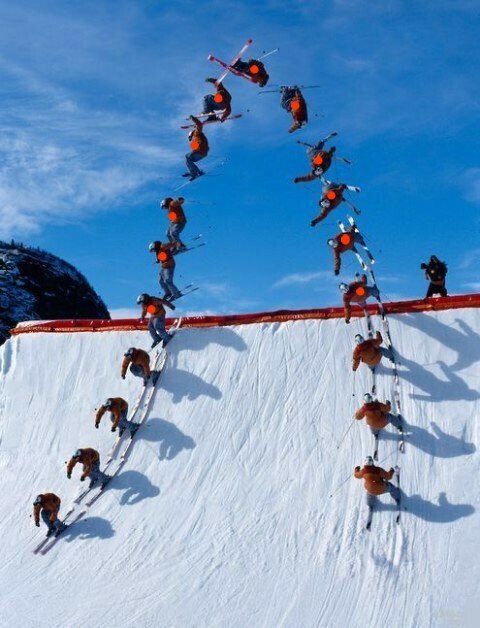 In fact, there is one law the aerial skiers cannot break. It is the law of gravity. Here is an equation for projectile motion from Wired magazine. The equation for projectile motion also applies to Motorbike Jumps and Longbow Arrows. Here is the x-y graph for different launch angles. 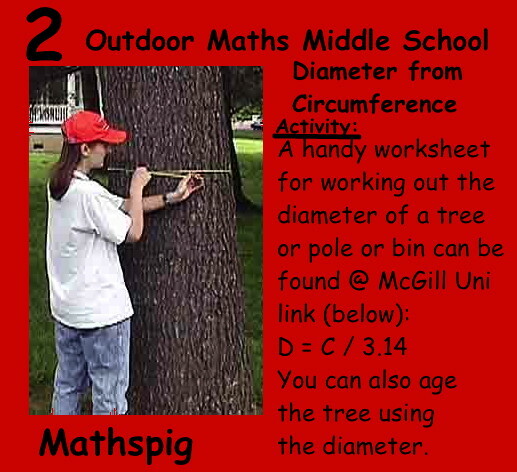 You can go to this page for complete calculations. 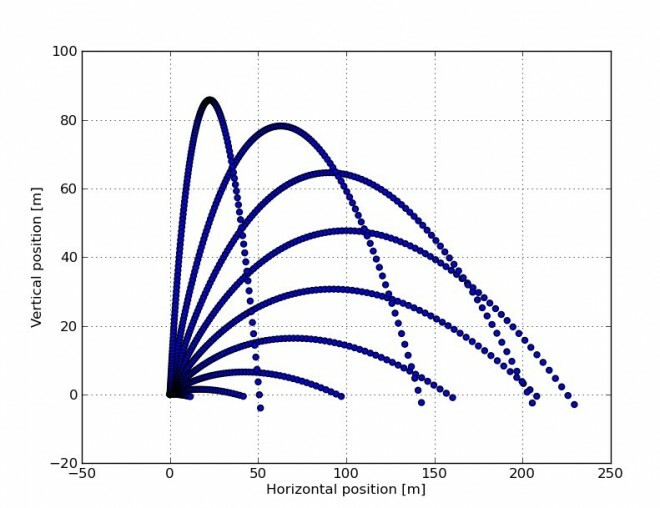 Aerial skiers twist and turn but their CENTRE OF GRAVITY must follow this graph. More on centre of Gravity at The Great Back Pack Attack ie. 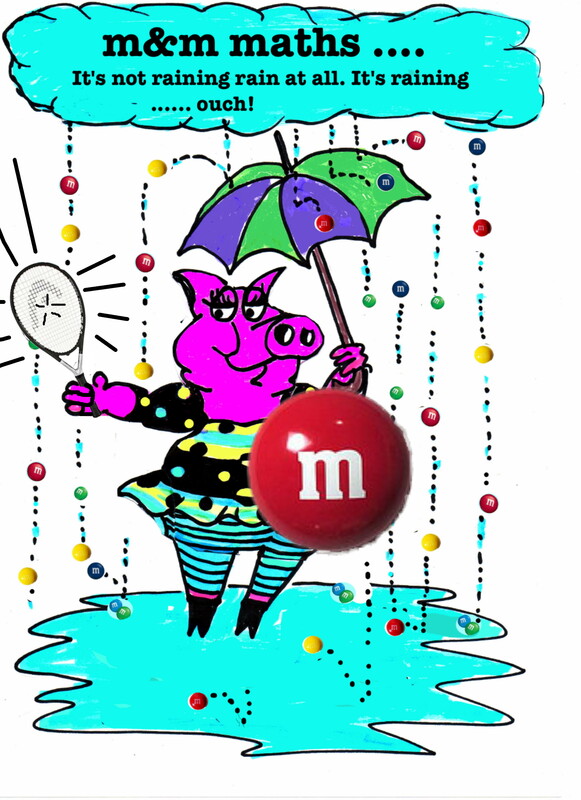 There is so much maths you can do with m&ms, it’s hard to believe there is any other sort of maths. 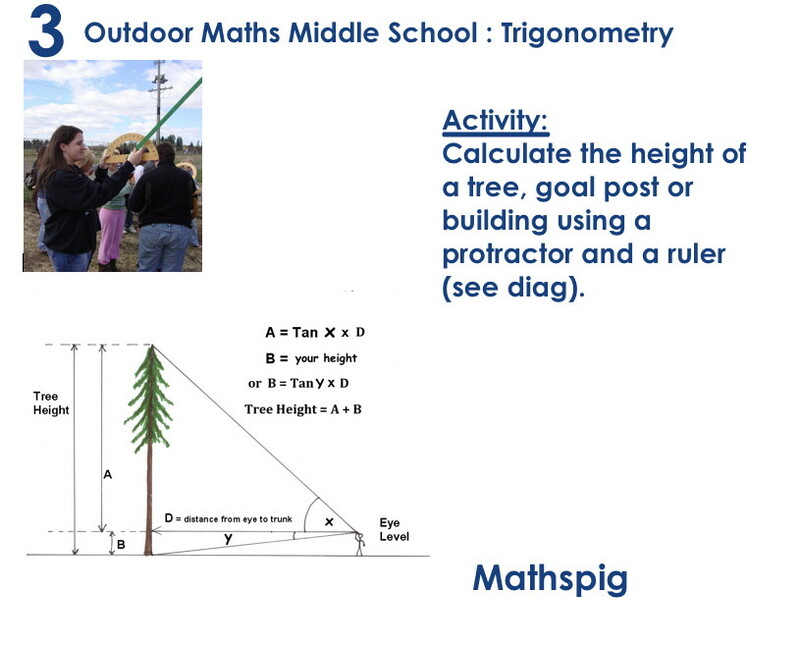 Counting, times tables, set theory, Bar graphs, Fractions, % and decimals, Mean, median, mode, and parabolas (using a really cool peg-powered catapult). But my favouritest ,developed by Patrick Len, is using m&ms to demonstrate half life in radioactive substances and therefore write an exponential equation. Wow! 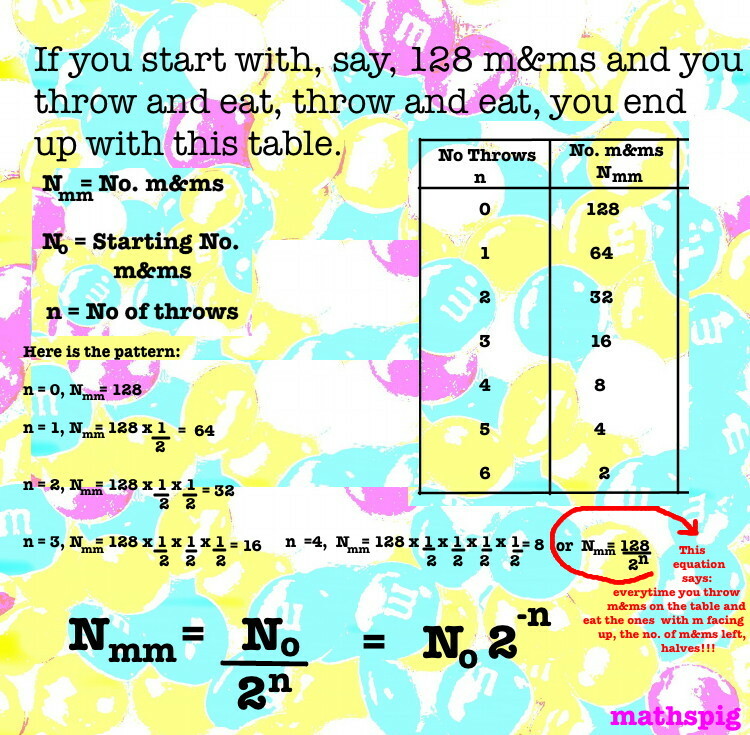 m&m’s and exponential equations. How yummy is that!!!!!! m+m maths 1: find the volume using m+ms! m+m maths 2: Guess, NO, calculate the number of m+ms in a jar! m+m maths 3: how many m+ms will kill you? 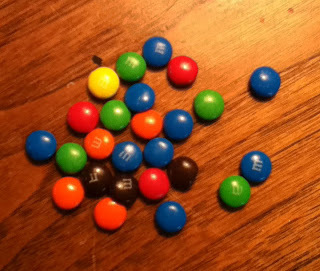 m+m maths 4: How many m+ms will kill my dog? m+m maths 5: how many m+ms will kill my cat? 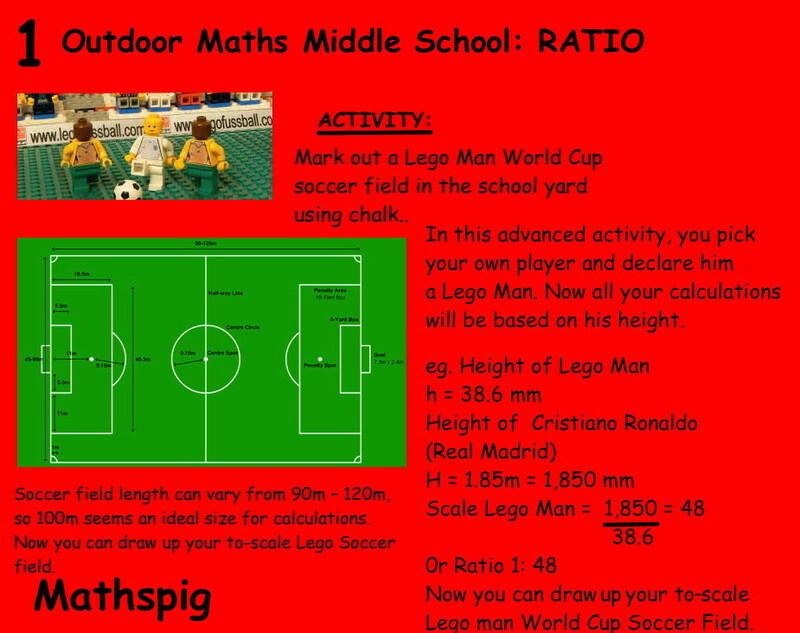 m+m maths 6: How many m+ms will kill my pet rat? m+ms maths 7: how many m+ms will kill my pet mouse? Mmmmmmm! Can’t talk. Face full of chocolate. Skill: Geometry, scale, ratio, conic sections, ellipses, parabolas, hyperbolas and more. Senior maths students are busy, mathspiggies. But insipration energises. 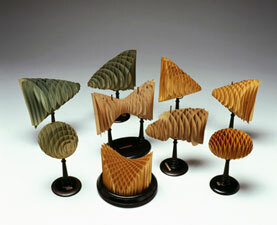 Mathspig was amaaaaaazed by these cardboard models were made by Martin Schilling because he made them in 1901. This was long before computers made the job easier. 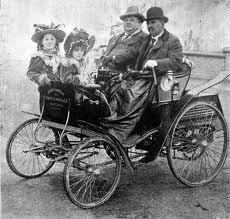 More info here.This is what a car looked like in 1901. 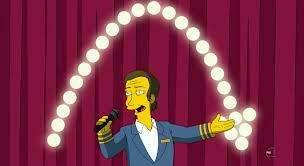 If Martin Schilling could make these Conic Sections, so can any senior student. You will find Conic Section diagrams and equations here. 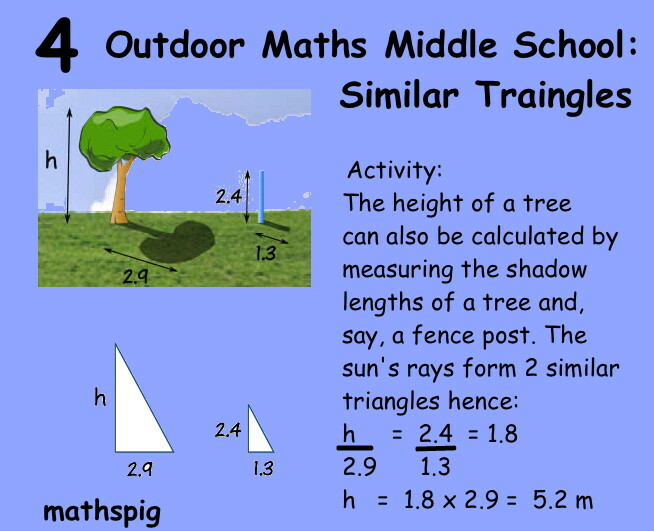 Could you do this mathspiggies? Make a conic section in 3D? 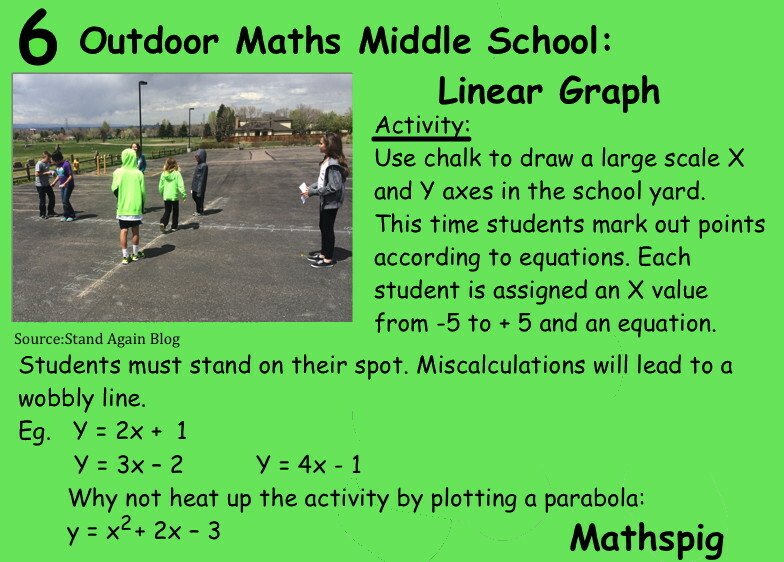 Skills: Graph, scale, measurement …. balancing that last cardboard section. 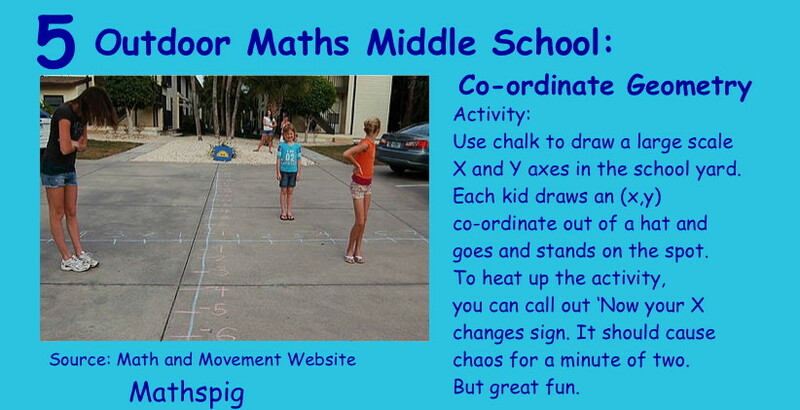 If you cannot make it to MOMaths Maths Museum in NY for a Mad Maths Monday, then you can run a Mad Maths Monday in your own class. 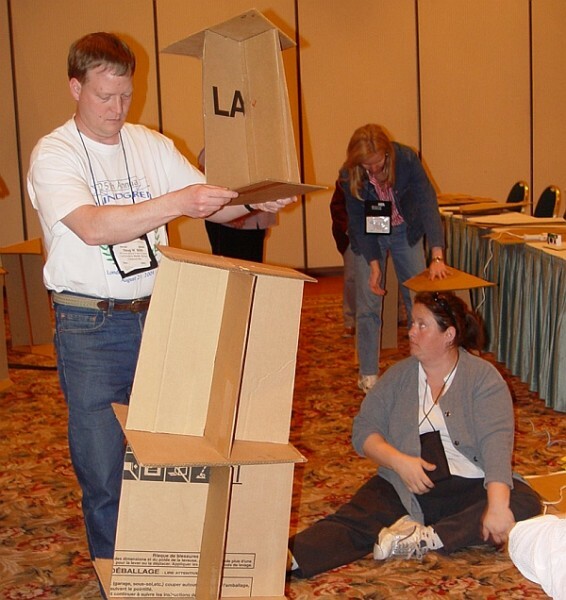 Build your own giant parabola out of cardboard. Make it big enough to arch over the front door of the school. You are currently browsing the archives for the Parabolas category.